Drainage Contractors New Brunswick| Home | Mike Stairs General Contracting Ltd.
Quality Septic Systems… The First Time! Mike Stairs General Contracting Ltd. has over 35 years of onsite waste water design and installation experience. We install both conventional and non-conventional systems focusing on concrete leaching galleys and residential treatment plants respectively. We also install methane gas protected lift pumps and alarms and syphon chambers. We are raising the bar in Central New Brunswick for top quality products and services. 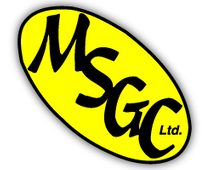 Founded in 1978 and incorporated in 1982, MSGC Ltd. started out in the snow removal business. We now offer a wide range of services that range from septic system installation, general excavation, land clearing and demolition to drainage systems, root raking equipment and more. We strive to honor our commitments in a timely fashion. A Job Done Right… The First Time! Mike Stairs General Contracting Ltd. was built on honest, reputable, dependable and timely service. We will return your phone call without any unnecessary delay. Ready to take on most any challenge, we offer free onsite consultation service. Give us a call today.